Why I love it: As a person living with ADHD, I regularly find myself getting suddenly bored with a particular task. One solution that I use to manage the rapid-onset boredom (or any frustration from a specific project) is to have multiple projects in the works at the same time. 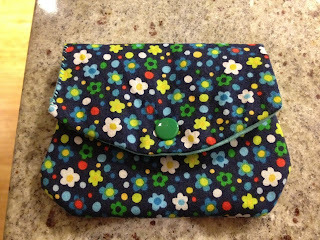 Each project can stay separated and ready to grab (of course it does require that you put all of the stuff back into the bag) which can be especially important when the project is a quilting block of the month class that takes a full year to complete. It isn't limited to holding sewing supplies either, it is wonderful for holding a gift, carrying your knitting, or just about anything. My favorite size is the medium (shown in the picture in my favorite Tula Pink fabric), but I have also made the small. 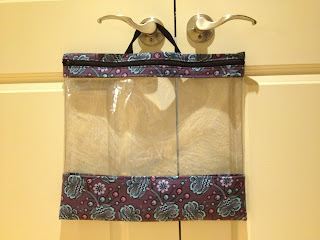 If you choose to undertake this project, I would HIGHLY recommend purchasing a Teflon/non-stick foot for your sewing machine (I believe they are available for most modern machines). 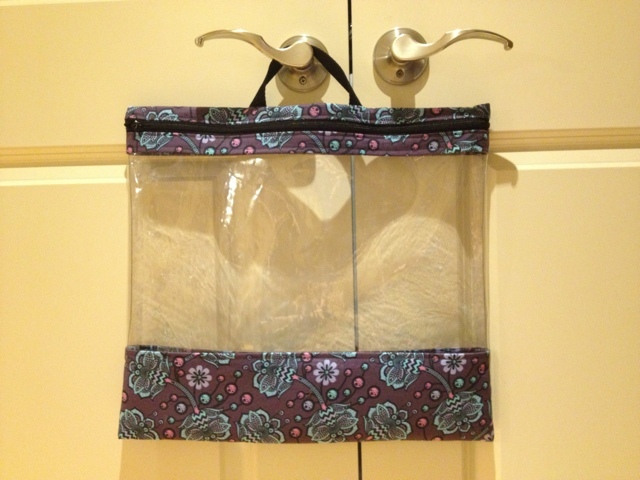 It is worth it because vinyl, especially clear vinyl, is not entirely enjoyable to sew with. The non-stick foot makes it a piece of cake. Why I love it: This was one of my very early projects (I made the one pictured after sewing for a month). I don't always like to carry a purse. This adorable wallet can be tucked into my pocket easily. It is washable when it gets dirty, and the snap closure keeps all of my cards secure. If you decide to make one of these little lovelies, the SnapSetter is a wonderful tool. 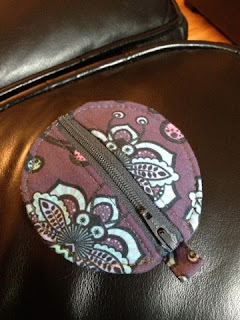 You could hand sew in a snap or use hook & loop tape if you prefer too. Why I love it: It is a super lightweight bottomless pit. I have carried this bag full of supplies for class, as a shopping bag, and just as a very large purse. It is just an awesome bag. The brilliant use of fusible interfacing almost guarantees that the squares will be matched up perfectly and look like you have been quilting for YEARS. 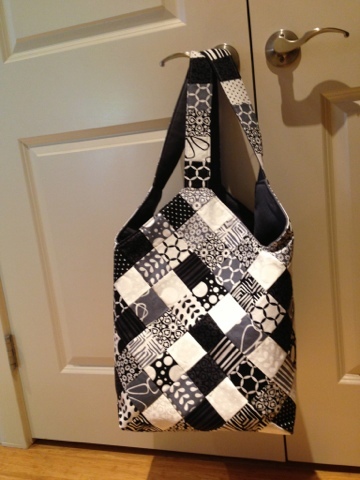 I love that it folds flat and is washable (especially for the black & white one pictured). If you decide to make a Mondo or Midi bag of your very own, I highly recommend using a handle turner. I use the Fasturn set because it saves oodles of time. Why I love it: I've spent years trying to find the perfect way to keep my earbuds from getting damaged or tangled in my purse without using something bulky. I've used an assortment of Vera Bradley pouches, pouches made of duct tape, semi-rigid containers, and pouches that came with several different earbuds I've bought over the years. This is the first one that I love. It is lightly padded and zips closed. I didn't use a split ring keychain on mine, but I did on one of the gifts. Of course I made this one in the same Tula Pink fabric as one of the Practical Project Bags. If you have larger earbuds like I do, I found that doing the topstitching at 1/8" instead of 1/4" gives me a better fit. I love the Little Wallet pattern too. I've made it a bunch of times and it always turns out nicely. 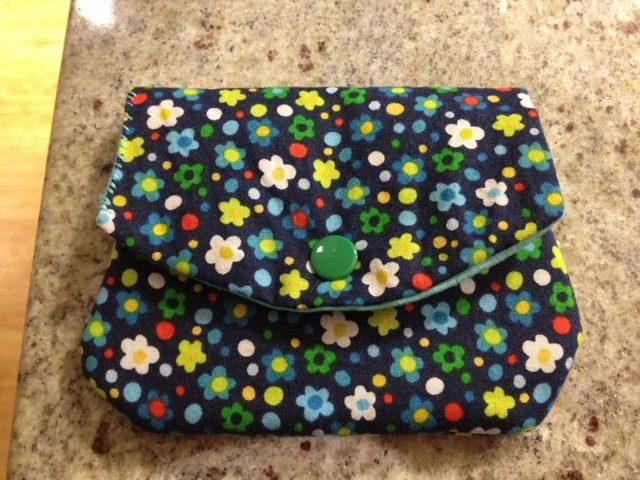 Also, uses very little fabric and a good way to use up random bits and fat quarters.